Have you ever wanted to run away from your life? Zoe Griffin and Nick Jackson not only want to leave their old life, but actually do in, Island Refuge, my newest release. Here is the back cover copy. Five-Star-Chef Zoe Griffin walked away from her dream job. Did she make a mistake? Her engagement off, Zoe Griffin retreats to tiny Wildflower Island in the Puget Sound. Hiding out as a cook and maid at a shabby bed-and-breakfast seems crazy for a chef who’s used to running her own five-star kitchen. And just as she starts to feel at home, her klutzy mishaps make Zoe fear her handsome new boss will fire her. Dr. Nick Jackson is done with medicine, and owning a B&B is as far from doctoring as he can get. He needs help, but his only employee’s mistakes give him doubts. As Zoe lets her defenses down, Nick begins to see a competent and caring woman. One whose wounds are as deep as his own. But as they fall for each other, Nick and Zoe must learn the hardest lesson of all—to forgive. Only then can they heal the past and embrace the future . . . together. Have you ever started over someplace completely different? What was your motivation? Kimberly is multi-published and writes sweet Christian romance. She married her college sweetheart eons ago and they have two sons. Kimberly writes stories that warm the heart and feed the soul. Her hobbies include reading, watching chick flicks, playing the piano, long walks with her hubby, and drinking coffee. Kimberly loves to connect with readers in her facebook readers group titled Kimberly Rose Johnson Readers. Here is the link to request to join. http://bit.ly/2ysf0PU She hopes to see you there! 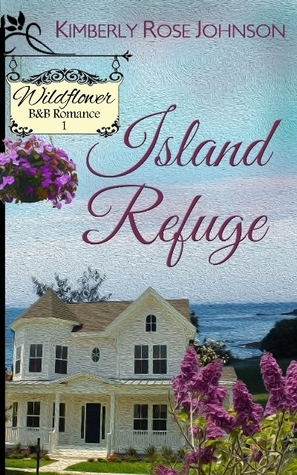 Island Refuge sounds lovely, Kimberly! I’ve never really moved anywhere to start over, but I think I’ve started over emotionally before. Every time God reveals to me something I’ve been doing that’s harmful to myself or others (not in a hurt-you-with-weapons kind of way, but more of a bad-habit or hurtful-attitude way), He helps me start fresh in Him. Sometimes it’s a long, slow walk to freedom and changing those habits (and gaining forgiveness and a new start with people I’ve hurt), but as long as I’m following God’s lead I find myself starting fresh and wearing a whole new perspective. My pleasure! Don’t you just love sharing perspectives? Sometimes other people have the best view of our difficulties and can give us a new way of looking at it, because they aren’t actually living it. But their advice can be so fruitful for us. Blessings! 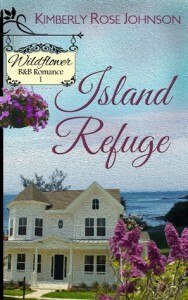 Island Refuge sounds like a great book! Not only would I love it for the location, but also it takes place in a B&B. We stay in one whenever we can afford it, and have discovered some real gems! We love the history of the house and the architecture…and, of course, the wonderful breakfasts they serve you! I’ve never ran away to start over, although I’ve often thought about it! We always think the grass may be greener on the other side. But life still happens no matter where you live, so we must rely on God to help us through it! Escaping for a vacation to get away for a while, now that is fun! Thank you, Kimberly, for sharing about your book. Sounds like a good one, blessings on you and yours!